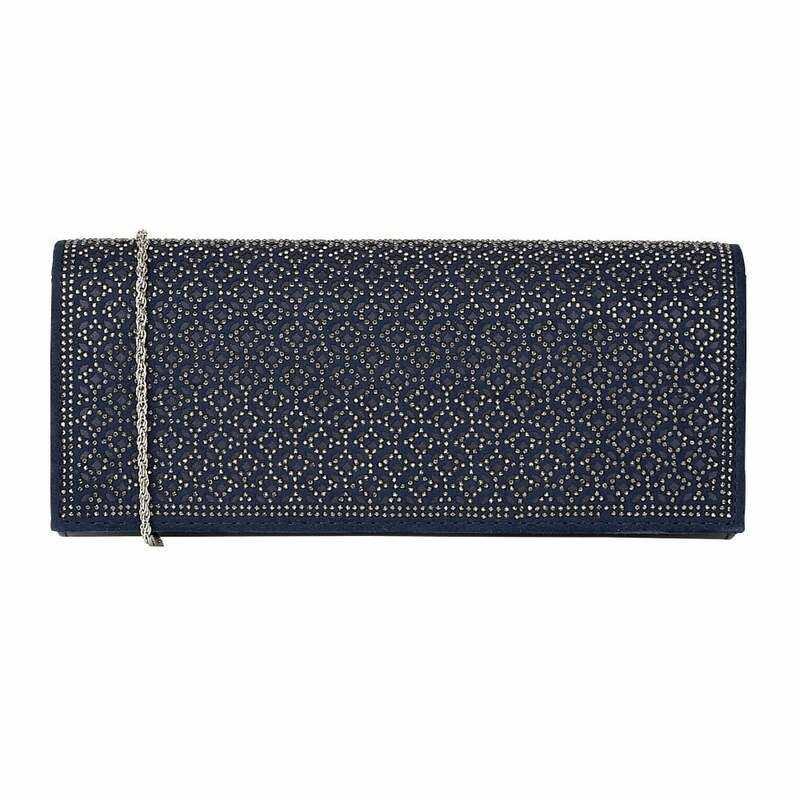 The Lotus Tadine handbag in navy is an eye-catching accessory with a striking point of difference, a regimented design of diamantes is applied to the front panel. This stylish handbag also boasts a detachable chain shoulder strap and features a magnetic snap closure. The Lotus Tadine clutch bag has been designed to coordinate with the matching peep toe shoe Attica.